There are a number of unfortunate circumstances which can precipitate the dissolution of a business. 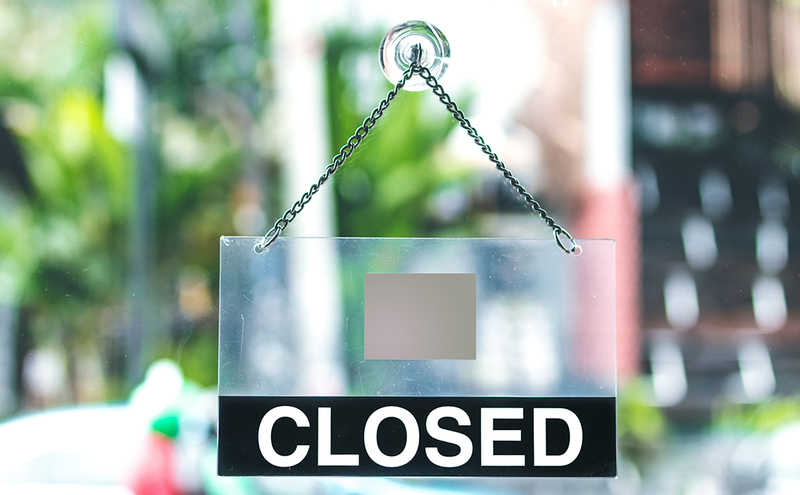 Whether it is due to financial struggles or partnership disputes, the closing of a company should be handled by a business attorney to ensure appropriate legal procedures are followed. While every situation is unique, our attorneys have outlined the most common steps necessary for the termination of a company. If the business is a partnership, limited liability company, or corporation, a vote must be conducted before the process can begin. A business agreement, should there be one, will outline the procedures and requirements for gaining consent to move forward with the decision. A recording of the agreement to close the business should be included in the minutes or a written consent form. Sole proprietors are able to skip this step. Corporations and limited liability companies are required to file a certificate of dissolution, which officially closes the business with the state and ends the existence of the company. Partnerships may not be required to complete these filings, but they may still choose to do so as it notifies creditors that the business is unable to acquire additional debts. The process varies from state to state as to which forms may be required by law to close a business entity. Some states require a Certificate of Dissolution to be filed before creditors are notified, while other states specify that creditors are to be notified before filing. The following directory provides links to local and state government websites with additional details, click here. www.statelocalgov.net. Sole proprietors are not obligated to file paperwork with the state. A dissolved company is not exempt from paying taxes owed for the year prior. Final income tax, payroll tax, and sales tax forms must be filed for the business. Some federal tax forms require the completion of specified checkboxes identifying the form as the final return to be filed by the business. Additionally, business owners must be mindful of the fact that unpaid payroll taxes following the closing of a business are heavily penalized by the IRS. The IRS maintains a comprehensive checklist of business owners who are in the process of dissolving their business. Along with the list, a record of completed forms is kept to ensure requirements are met. Customers, suppliers, and creditors must be notified of the decision to terminate a business. A company has the right to accept or reject creditor claims. Accepted claims, whether by full repayment or compromise must be settled before a business can be dissolved. Additionally, those seeking to close their business may come to realize that their funds will not cover their remaining debts. In this case, a business attorney can help provide assistance with additional options, such as bankruptcy. All county and state business licenses should be canceled to prevent improper use by another person. This is a precautionary step that can be taken to protect oneself from being held liable in the event of an unauthorized use of the permits or licenses. After all claims have been paid, any remaining assets are to be distributed among owners of the company relevant to their stake in the company. All distributions made must be reported to the IRS. In the case of corporations with multiple stock classes, company bylaws will contain specified procedures for the distribution of assets to shareholders. The dissolution of a company is an extensive process, one which can greatly benefit from the expertise of a business attorney. If you or someone you know is in need of assistance with the dissolution of a business, contact the Law Offices of Kelley & Fulton, P.L. today.